Bumblebee, Arizona is a raw and untamed boom town. It is a place where deals are made with a handshake and disputes are settled with a gun. There is gold in the mountains. Some men mine for it, others steal it from those who labor. Murder is common. Sheriff Johnson needs help now to stave off the wave of crimes that have overtaken the wild frontier town. He had almost given up on any hope of keeping the peace. That is, until Marshal Sam Byrd came to town. 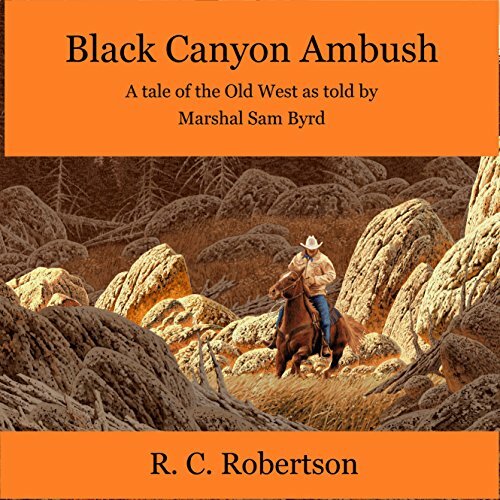 The marshal battles to restore calm with a mix of law and order and a gunfighter's justice. Most people quickly learn to respect Marshal Byrd, but the ones who don't want him dead. What did you love best about Black Canyon Ambush? How Marshal Sam can always make the sheriff laugh. Have you listened to any of Hubert Williams’s other performances before? How does this one compare? Who was the most memorable character of Black Canyon Ambush and why? The narrator, has an old "national geographic" style read. It's as if your father is actually reading a story to you. Not necessarily a performance, but a really easy to listen to comfortable reading style.